Home Tags Posts tagged with "measles outbreak 2014"
The Centre for Disease Control and Prevention is urging people to get vaccinated after a spike in measles cases in the US this year. The CDC reported 288 cases of measles in the first five months of 2014 – the largest number for 20 years. The outbreak is thought to be linked to US citizens travelling to the Philippines. The CDC says timely vaccination is the best way to prevent measles. Dr. Anne Schuchat, director of CDC’s National Centre for Immunizations and Respiratory Diseases, said many US healthcare providers had never seen or treated a patient with measles because of the country’s robust vaccination efforts and rapid response to outbreaks. Measles was eliminated from the US in 2000, meaning that for more than 12 months there was no longer any continuous measles transmission. Of the 288 cases, 280 were thought to have been imported from at least 18 countries. 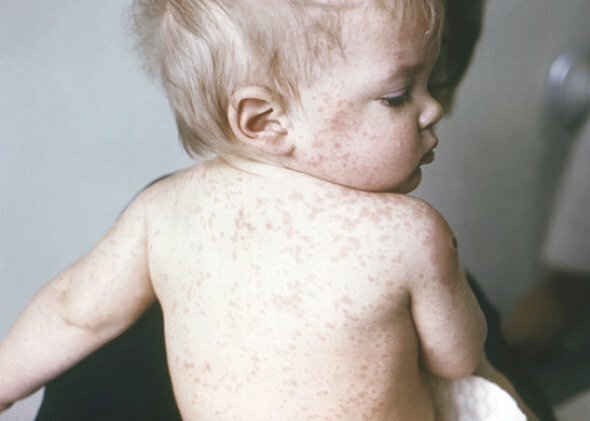 Ninety per cent of all measles cases in the US occurred in people who were not vaccinated or whose vaccination status was unknown. More than one in seven cases has led to stays in hospital. In the US, the CDC recommends two doses of measles, mumps, and rubella (MMR) vaccine for everyone starting at age 12 months. For those travelling abroad, the CDC recommends that babies older than six months receive the MMR vaccine. Measles is a serious viral illness that is highly contagious. The initial symptoms of measles develop around 10 days after infection. These can include cold-like symptoms, red eyes and sensitivity to light, a high temperature or fever and greyish white spots in the mouth and throat. After a few days, a red-brown spotty rash will appear. This usually starts behind the ears and then spreads around the head and neck before spreading to the rest of the body. Measles is still common in many parts of the world, including countries in Europe, Asia, the Pacific, and Africa.